Fawzi Barhoum, a Hamas spokesman, strongly denied the allegations of the Quds daily newspaper claiming Hamas was negotiating with Israel. Barhoum, in statements posted on Facebook on Monday, slammed the Quds local newspaper for “the lack of professionalism in terms of what it has published in this regards”. It published allegations that “there are ongoing negotiations between the Islamic Resistance Movement, Hamas, and the Israeli Occupation Authority (IOA) for establishing a separate state in Gaza to liquidate the Palestinian question”. Barhoum condemned “the lies and claims distorting Hamas which has been defending the Palestinian cause and people”. He affirmed his Movement’s constant positions of resistance, steadfastness, and refusal of the recognition of Israel. Political bureau member of the Popular Front for the Liberation of Palestine (PFLP) and deputy at the Palestinian Legislative Council Jamil al-Majdalawi on Sunday slammed the Palestinian Authority (PA) chairman Mahmoud Abbas for sharpening the internal rift and impeding national talks. He said Abbas stands as a stumbling bloc before attempts to hold the national council of the Palestine Liberation Organization. “Prisoners held at Israeli jails have different intellectual and political inclinations and affiliations; yet they are all struggling against the same enemy—the Israeli occupation,” he said as he hailed Palestinian detainees held at Israeli lock-ups, most notably female MP and PFLP political leader Khalida Jarrar, recently kidnapped from her own home in Ramallah. Dozens of stores and stalls have been flooded on Sunday due to the heavy rains and sewage poor treatment and disposal in al-Khalil’s Old City to the south of occupied West Bank. The PIC reporter quoted eyewitnesses as saying that dozens of stores and stalls were flooded in Bab Zawiya and the Old Town in the city when water levels rose sharply in the area. The rainwater has heavily accumulated in the Old City that already suffers from sewage poor treatment due to the Israeli continued restrictions on maintenance works, the sources added. The local sources pointed out that the flooding still continued while no real efforts have been made to control the flood waters that threaten the neighboring houses and the people’s movement. 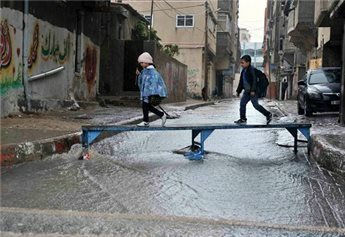 Meanwhile in Gaza Strip, Civil Defense spokesman Muhammad al-Midana stated that his crews evacuated a number of homes and a school in Daraj neighborhood in Gaza City after water levels rose sharply in the area due to the heavy rainwater. Speaking to the PIC reporter, al-Midana said that a number of caravans housing thousands of Gazans displaced by Israel's summer offensive had been swamped due to the heavy rain that flooded Khuzaa and Beit Hanoun. Things are still under control despite the very difficult situation and poor equipment, he said. In a unique precedent, Gaza has witnessed Sunday large hailstones and heavy rainfall that led to flash flooding worsening the situation for more than 100,000 Palestinians left displaced by Israel's offensive last summer. Heavy rain has flooded low-lying areas across the Gaza Strip, including Khazaa and Beit Hanoun, where thousands of Gazans displaced by the Israeli offensive last summer are living in caravans. Civil Defense spokesman Muhammad al-Midana told Ma'an News Agency that a number of homes in the neighborhood of Kunz Street and Shabia Street, in Gaza City, had been flooded and that the Civil Defense had removed swamped cars inside the city and the northern Gaza Strip. He also said that Civil Defense crews evacuated a school when water levels rose sharply in the surrounding area, putting the school at risk of flooding. He said that there had been no reported injured. Meanwhile, witnesses in the low-lying area of Khazaa east of Khan Younis said that a number of caravans housing displaced Gazans had been swamped. There were similar reports from Beit Hanoun. 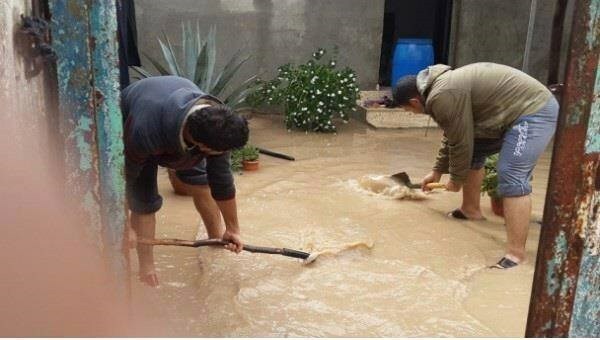 Gaza has been hit by severe flooding in the past. In December last year the UN's Palestine refugee agency UNRWA declared a state of emergency in Gaza City when heavy rain shut down normal life in large parts of the coastal enclave's largest city. A major storm left streets in Gaza City flooded with water and sewage, worsening the situation for more than 100,000 Palestinians left displaced by Israel's offensive last summer. UNRWA said: "The flooding is exacerbating the already dire humanitarian situation in Gaza caused by blockade and the unprecedented destruction from the latest Israeli offensive." The year before, in December 2013, heavy rain caused the displacement of more than 40,000 across the Gaza Strip. The floods are exacerbated by a chronic lack of fuel that limits how much water can be pumped out of flood-stricken areas. The fuel shortages are a result of the eight-year-old Israeli blockade, in place since 2007, which also limits the import of other kinds of machinery related to pumping and sewage management that Gazans require to combat the floods. Islamic Resistance Movement, Hamas, denied again having any connection with Aknaf Bait al-Maqdes brigades in Yarmouk camp for Palestinian refugees in Syria. The senior Hamas official Mushir al-Masri said, in a statement posted on his Facebook page, “Hamas does not have any military formations in Syria”, stressing that Hamas has no relation whatsoever with Aknaf Bait al-Maqdes or any other armed group. Aknaf Bait al-Maqdes was one of the biggest armed parties controlling the Yarmouk camp before the alliance between Jabhat al-Nusra and the Islamic State (IS) which took over most of the camp. As Aknaf Bait al-Maqdes has not announced belonging to any party, some allegations have been rumoring that most of its fighters were working as bodyguards at the office of the Head of Hamas political bureau Khaled Mishaal before it was moved from Damascus in Syria to Doha in Qatar. Masri described what has been taking place in Yarmouk camp as “a massacre targeting the Palestinian existence”. He renewed his Movement’s call on all the armed parties in the devastated camp to cease fire, halt the bloody fighting, and neutralize the camp. The IS stormed Yarmouk camp in the beginning of April and took over most parts of it following clashes with Aknaf Bait al-Maqdes brigades. The Palestinian ministry of religious affairs said that its office in the Gaza Strip has launched a campaign to fight extremism and ideologies of militant groups through mosques and Friday Khutbas (sermons). Deputy minister of religious affairs in Gaza Hasan al-Saifi told Anadolu news agency that Mosque preachers were instructed to raise the public awareness about the need to follow the right Islamic values and refrain from supporting extremist opinions. "Those sermons will be part of a plan developed by the ministry in cooperation with scholars and imams to fight deviant and extreme thoughts," Saifi stated. "Gaza is immune ideologically and religiously from extremist and takfiri ideas, but there could be some people, especially young men, who tend to advocate such ideology and are influenced by information spread by TV channels and websites, so there is need to educate the citizens on the correct religious teachings," he emphasized. 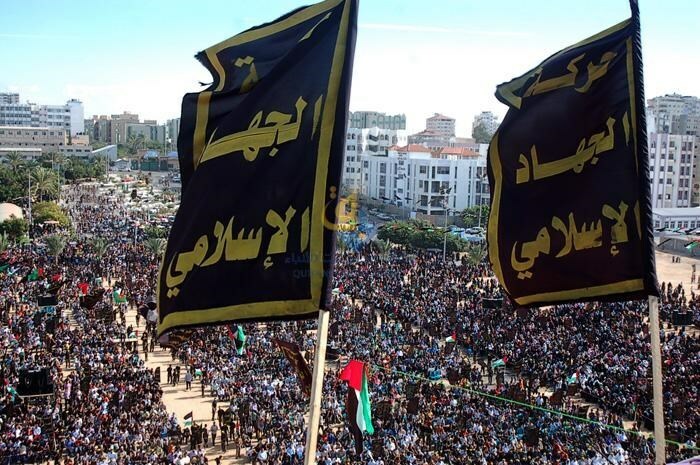 The Islamic Jihad Movement has called on the Palestinians in the West Bank and Jerusalem to strongly confront Israel's ongoing terrorism and aggression against their land and holy shrines. In a press release on Saturday, Islamic Jihad official Bassam al-Saadi stated that the only option to curb Israel's arrogance is to confront it and clash with it. Saadi mourned the death of Ziyad Awad, who was killed during his participation in the funeral of his cousin Jaafar, who had died as a result of his exposure to medical neglect in Israeli jails, and held Israel fully responsible for their death. The Islamic Jihad official highlighted the medical neglect, which dozens of Palestinian prisoners with medical conditions are exposed to in Israeli jails, and called for supporting their issue at all levels. He expressed his belief that the moment of freedom would inevitably come and that the resistance would accelerate the coming of that moment. Deputy head of Hamas's political bureau Ismail Haneyya on Friday made solidarity phone calls with families of martyrs Jaafar and Ziyad Awad as well as the husband of kidnapped MP Khalida Jarrar. Haneyya offered his condolences to the fathers of Jaafar and Ziyad, emphasizing that the blood of Palestinian martyrs would never go in vain and would always be like a beacon guiding their people to freedom and independence. The Hamas official also condemned, during a telephone conversation with the husband of MP Jarrar, Israel's kidnapping of his wife and described it as part of the "Israeli attempt to assassinate the Palestinian legitimacy." Israeli soldiers on Friday afternoon killed Ziyad Awad in al-Khalil city during his participation in the funeral of his cousin Jaafar, who had died shortly after his release from an Israeli jail. The Israeli occupation forces also kidnapped recently Palestinian lawmaker Khalida Jarrar from her home in Ramallah city. 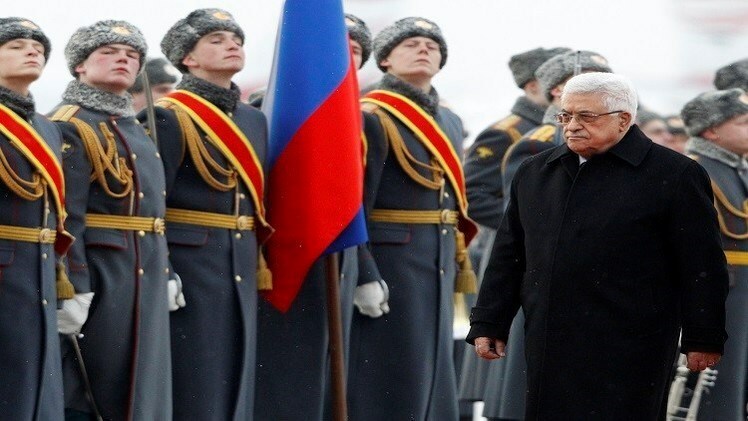 Palestinian Authority president Mahmoud Abbas intends to visit Moscow next Sunday to meet with his Russian counterpart. Abbas will discuss several issues of mutual interest with president Vladimir Putin and premier Dmitry Medvedev. He will also meet with Father Kirill, Patriarch of Moscow and all Russia, and Sheikh Rawi Einuddin, head of the Fatwa Council in the country. The two leaders will hold talks concerning key aspects of the Palestinian-Russian relations and their future, with particular attention on the economic and humanitarian areas, according to a statement by the Kremlin. 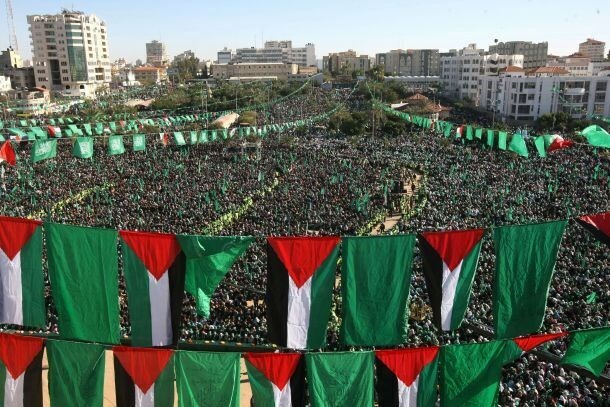 Hamas Movement has denied on Friday media reports claiming that the group is making contacts for the formation of an administrative committee to manage Gaza’s affairs. 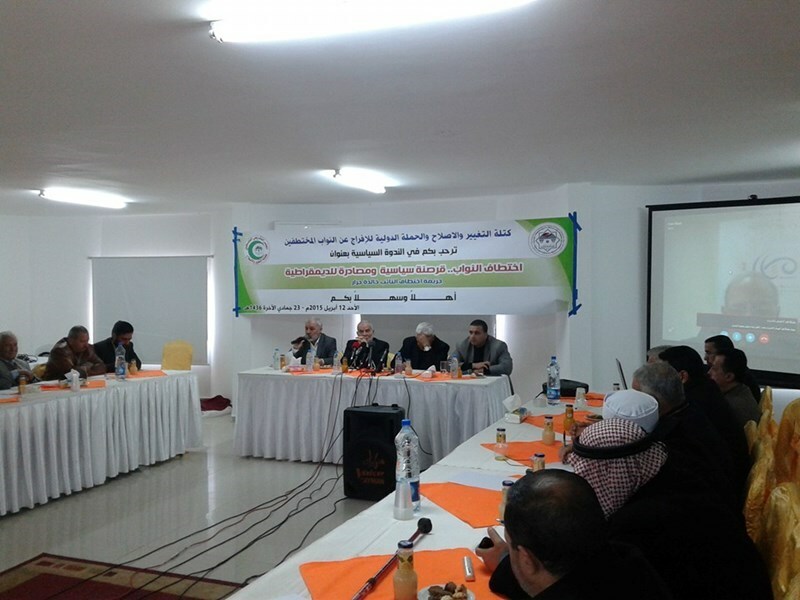 Contacts are currently made between Palestinian factions for the formation of a committee to follow up the implementation of national reconciliation especially in relation with Gaza’s employees and crossings issues, Abu Zuhri clarified. Gaza Strip has been marginalized since the formation of the unity government, despite the promises that have been made to solve its crises. President Mahmoud Abbas will meet Russian leader Vladimir Putin in Moscow on Monday where the issue of Middle East peace talks will be raised, Russian authorities announced Thursday. 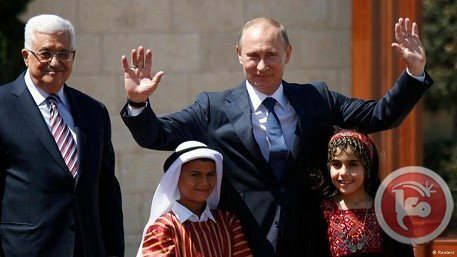 "The two leaders will hold talks concerning key aspects of Russian-Palestinian relations and their future, with particular attention on the trade, economy and humanitarian sectors," the Kremlin said in a statement. Palestinian ambassador to Moscow Fayed Mustafa said Abbas would sign several intergovernmental accords during his three-day visit to Russia. 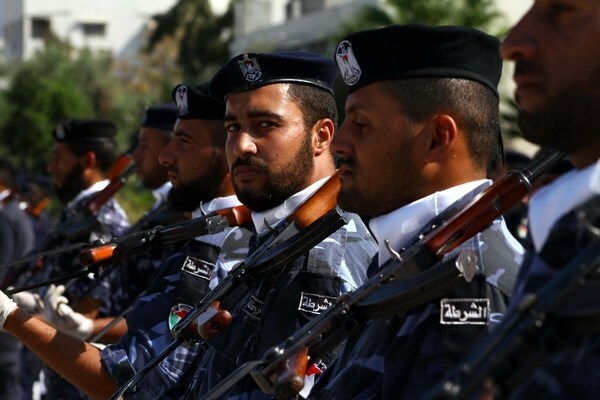 The Palestinian Ministry of Interior and National Security confirmed that there is no Islamic State (IS) in Gaza Strip. The Ministry’s spokesman Iyad al-Bezem said, in a press statement on Thursday, “The exaggeration practiced in this regard by some media is untrue”. He added, “The Palestinian Security Forces in Gaza have not launched arrest campaigns against any party. What happened is arresting a man who refused to respond to the summonses sent to him twice. He was questioned for some issues then released”. “This came within the routine work of the security forces in order to maintain security and stability in the Strip”, the statement underlined. Some media sources rumored the news that the Security Forces in Gaza rounded up a man who was described as the IS leader in Gaza. The sources also published a statement by the IS threatening to destabilize the beleaguered enclave’s security in case he was not released, which was totally denied by the Ministry. 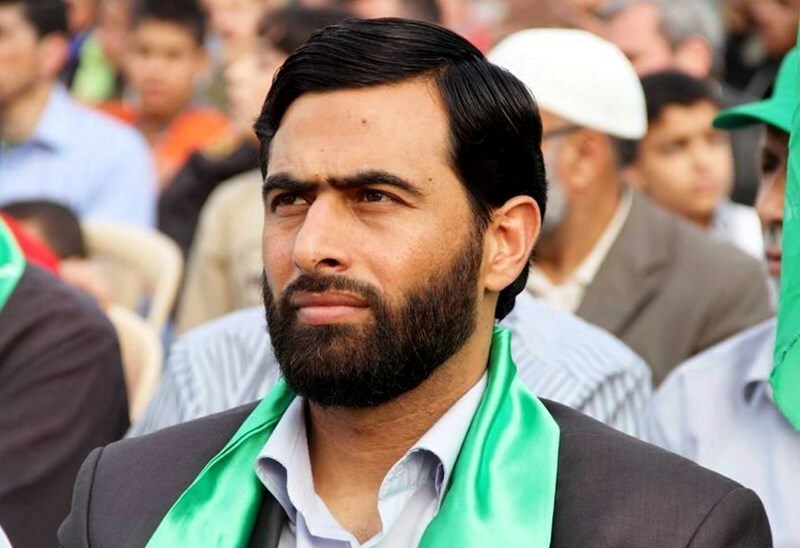 Political bureau member of Hamas Ziad al-Dhadha on Wednesday said his Movement was surprised by the decisions drafted by the Palestinian council of ministers on Tuesday, branding them “patchy” and “not in line” with the latest agreements. 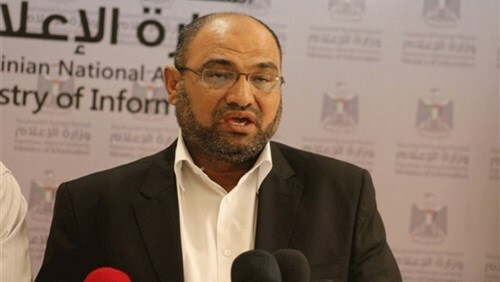 Speaking in a press conference held at the end of a meeting called by Hamas to discuss the latest government decisions, Dhadha said such unilateral decisions exacerbate the internal rift, calling on the unity government to amend the terms of the resolutions and have second thoughts as regards the adopted decisions. For his part, leader at the Popular Struggle Front, Ghassan Shaat, said Hamas briefed the factions who attended the meeting on the” bones of contentions,” saying these have to be worked out in favor of national reconciliation and interest. He said the latest decisions have to be redressed, calling for putting into effect the Shati and the Cairo accords. The statements were released following a meeting called by Hamas Wednesday to discuss the latest decisions adopted by Palestinian premier Rami al-Hamdallah and his cabinet. 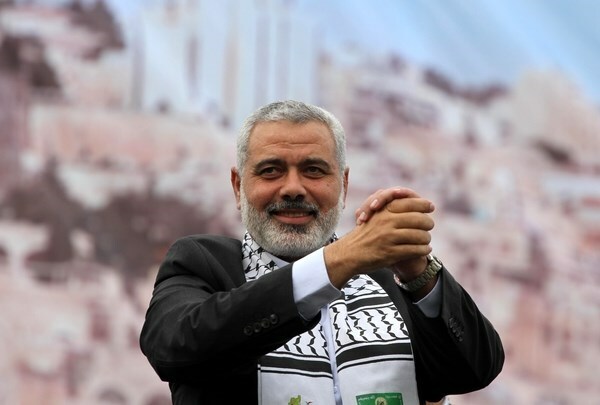 Earlier, on Tuesday, Hamas slammed the national consensus government for having reneged on recent pledges made by al-Hamdallah during his latest stopover in Gaza as regards border crossings and the salary crisis. Hamas said an agreement was reached with al-Hamdallah as regards the formation of a joint committee, to be headed by Deputy PM, Ziad Abu Amr, to address such issues as the border crossings and the salary crisis. The Palestinian unity government decided on Tuesday to form a committee to arrange taking over the crossings in Gaza Strip and to restructure the legal administrative committee. The group denounced the unilateral decisions issued by the government in its weekly session and its reluctance vis-à-vis the compromises struck with Hamas. Such decisions make matters worse and do not provide practical solutions to the outstanding files, the group said, calling on the unity government to rescind such unilateral decisions and show sincere commitment to the spirit of compromise and consensus sought by the joint committee. 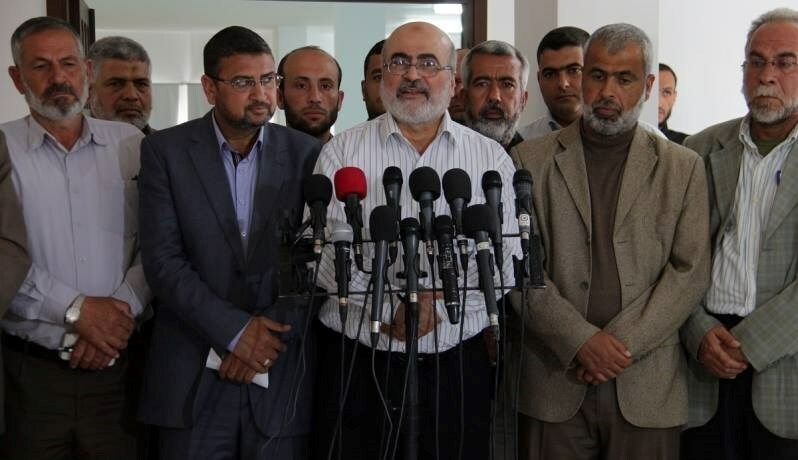 Islamic Resistance Movement, Hamas, denied the claim that the latest decisions of the Palestinian unity government have been made with the agreement of Hamas. 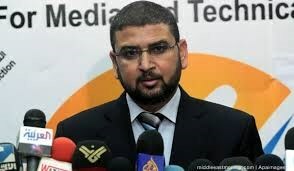 Hamas spokesman Sami Abu Zuhri said, in a statement on Wednesday, “If the government wants to prove its truthfulness, it should officially announce its approval of the letter of understanding reached with Deputy Prime Minister Ziyad Abu Amr”. The Palestinian unity government decided on Tuesday to form a committee to arrange taking over the crossings in Gaza Strip as well as the reformation of the legal administrative committee to study civil issues in addition to managerial problems resulting from Palestinian internal division including the civil workers file. The government’s decisions also include that the Palestinian ministers will work one week in Gaza and one week in the West Bank starting from next week in order to increase the interest in the blockaded enclave and to unify the governmental institutions despite obstacles. 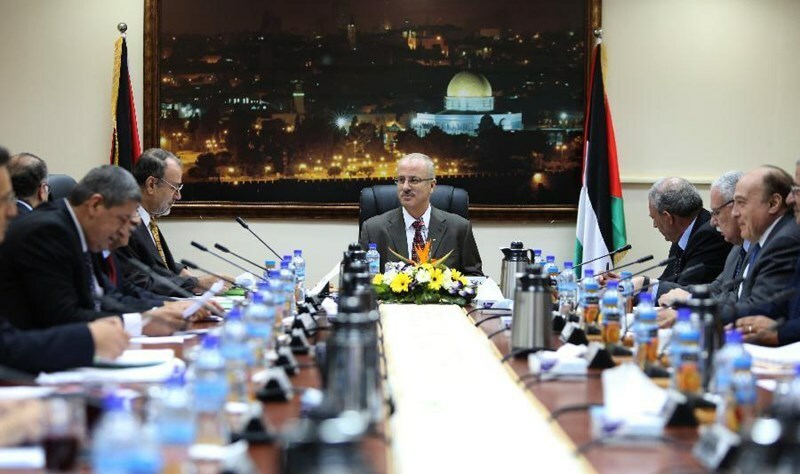 In a meeting in Ramallah, the Palestinian Prime Minister Rami Al-Hamdallah pointed to the formation of committees to discuss the pending issues in the Gaza Strip including the reconciliation file. Hamdallah stressed that all the files are linked to each other; that is, no solution would be made in terms of civil workers unless there are solutions for Gaza crossings and unifying institutions. Hamdallah also confirmed that his government will not pay the salaries unless it takes over the crossings in Gaza. Hamas Movement refuses the governmental decisions in terms of Gaza crossings and the civil workers in particular. It also charged the unity government of its denial to what has been recently agreed upon during Hamdallah’s visit to the Strip. Mahmoud Abbas, the chairman of the Palestinian Authority, has arrived in Doha the Qatari capital on Tuesday night, in the second visit within the past eight months, on a few days visit. The Qatari news agency said that minister of culture Hamad al-Kawari received Abbas at the airport along with the Palestinian ambassador in Doha Munir al-Ghannam. 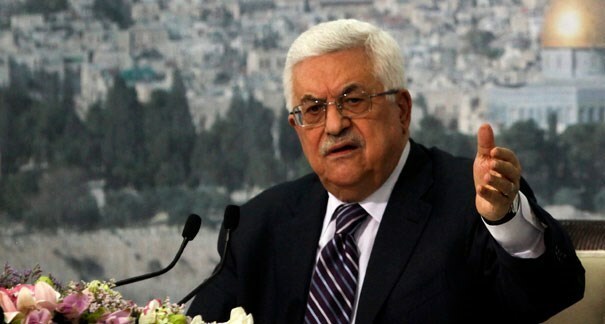 The agency had earlier said that Abbas is to discuss bilateral relations and latest Palestinian developments with the Emir of Qatar Sheikh Tamim bin Hamad Al Thani. 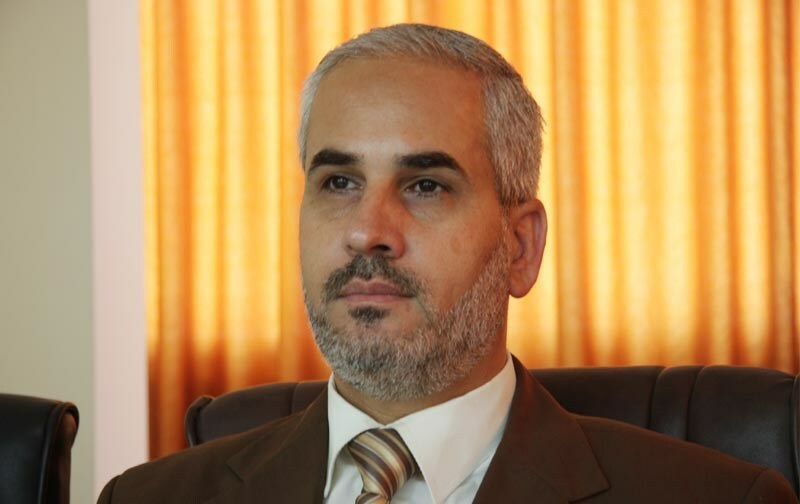 Hamas on Tuesday slammed the national consensus government for having reneged on recent pledges made by Prime Minister Rami al-Hamdallah during his latest stopover in Gaza as regards border crossings and the salary crisis. The unity government decided, during its weekly meeting on Tuesday, to form a committee in charge of Gaza’s border crossings and to restructure the administrative and legal committee to work out the issues generated by the internal rift, including Gaza’s civil servants. Hamas said an agreement was reached with al-Hamdallah as regards the formation of a joint committee, to be headed by Deputy PM, Ziad Abu Amru, to address such issues as the border crossings and the salary crisis. Hamas denounced the unilateral decisions issued by the government in its weekly session and its reluctance vis-à-vis the compromises struck with Hamas. Such decisions make matters worse and do not provide practical solutions to the outstanding files, the group said, calling on the unity government to rescind such monolithic decisions and show sincere commitment to the spirit of compromise and consensus sought by the joint committee.